In the summer of 2005, I had the pleasure of meeting Fredrick McKissack. He and his wife, author Patricia McKissack, were teaching and sharing their experiences on how to write for children at a Highlights workshop. He had a fascinating personality and was a gracious host. His work as a researcher was outstanding and informative. 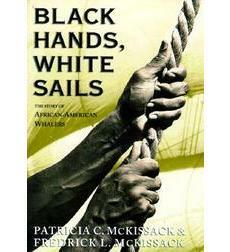 Mr. McKissack discussed his research for Black Hands, White Sails. He was meticulous, checking and rechecking the finest detail, and traveling to the east coast from their home in St. Louis to visit whaling museums. That book written by his wife won a Coretta Scott King Honor award. It told the story of black sailors on whaling ships. And it showed me the possibilities of writing nonfiction. It remains one of my favorites. The writing and researching duo published over 100 books. Many won awards including the Coretta Scott King Award, the NAACP Image Award, the Newbery, the C.S. Lewis Medal, the Caldecott Award, the Jane Addams Peace Award, and the Regina Medal. 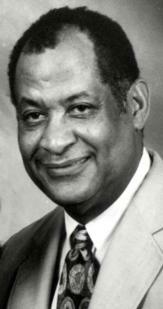 Mr. McKissack died on April 28, 2013. Too often we in the children’s lit world are always leaping onto the next *new* thing – and we lose track of the backlist. Thank you for highlighting, I hadn’t heard of this novel. what an inspirational couple. and what an amazing body of work! 100 books – that is outstanding. Patricia McKissack have always been one of my favorite authors. A SONG FOR HARLEM and PORCH LIES are still two of my favorite books of all time next to ROLL OF THUNDER, HEAR MY CRY by Mildred Taylor and THE COLOR PURPLE. Rest in Peace, Mr. McKissack. You have done kidlit proud.